Mindfulness techniques can help with impulse control and, overall, manage behavior. Parents know that children can be a handful, but it's often difficult to establish when behavior difficulties are normal or are signs of a learning difference or other diagnosis. When do tantrums, acts of defiance and manipulation, fits of anger, arguments, deliberate annoyance or refusal of blame become signs that a child is not merely acting up, but needs intervention? If behavioral challenges are significantly disruptive, preventing a child's social integration, academic advancement and family life, he may have a stand-alone condition or a concurrent diagnosis such as ADHD. Often parents receive no official diagnosis, even though behavioral disorders in children can cause great stress on a family. Mindfulness is a technique of bringing attention to the present moment and awareness of one's own actions. Experts often recommend teaching mindfulness to children, in hopes that they'll learn how emotions affect them physically. Kids learn to be aware of themselves and their surroundings, and they'll know when they have lost focus or their behavior is dysfunctional. Mindfulness techniques can help with impulse control and, overall, manage behavior. 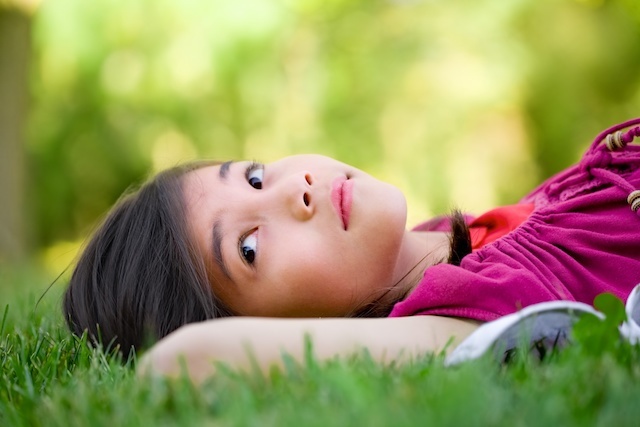 Mindfulness techniques for children are similar to those used by adults. Parents ask children to listen to a sound until it disappears, like a ringing bell on a cell phone that gradually fades after about 30 seconds. Kids learn to focus on breathing by lying down with a stuffed animal on their stomach, gazing at the toy as it rises and falls. Noticing new things while in the midst of a regular routine or using all of their senses to describe what is around them helps children focus on the present moment. Over time, children become more connected to their surroundings. At Brain Balance, we approach behavioral issues as a symptom of functional disconnection syndrome, an imbalance in hemispheric brain communication that is at the root of most learning, behavioral, and developmental issues. The Brain Balance Program is fundamentally based on the science of neuroplasticity, which is the brain’s ability to improve and change throughout a person’s lifetime. Our drug-free, integrated approach brings parents and kids together to achieve the common goal of significantly improving behavioral symptoms and restoring the family dynamic. If your child struggles with difficult behavioral issues or has been diagnosed with a behavioral disorder, contact us online or find a center near you to learn more about how the Brain Balance Program can help. Diet & Behavior: 3 Changes to Make Today!